Editorial commentary: Yesterday morning David Bowie passed away after an 18-month struggle against cancer. This article was written a day before his sudden passing away. After long consideration we have decided to post this article as a tribute to the highly diverse and influential Bowie. After the David Bowie exhibition had been in London, Toronto, Sao Paulo, Berlin, Chicago, Paris and Melbourne, it has now opened in Groningen. This may not be the most logical location, considering the other mentioned cities, but our northern student city actually has many peculiar places, shops and buildings which makes it perfect for an exhibition about this British icon. Using different important characters from David Bowie’s carrier, we will show you how to remain in Bowie-atmospheres in Groningen when you walk out of the Groninger Museum. In the Space Oddity video clip, David Bowie appeared with a bright red helmet-like hairdo and a dark blue glitter T-shirt. In case you would like such a hairdo for yourself or if you need to go to the hairdresser anyway, you should visit one of the two locations of Kapsoones. This salon is very famous in Groningen. Both shops are decorated with wallpaintings on the walls and ceiling and there are screens showing videoclips. In Kapsoones 2 there’s a colorbar and a photo booth where you can have your new hairdo photographed. In the ‘lounge’ there’s often a DJ taking care of the music with the disco lights on and wine for the thirsty costumers. When you’re looking fancy again, you want to show off your new hairdo in front of the right audience. You’ll find them for sure in night cafe Warhol, named after one of David Bowie’s inspirations, Andy Warhol. Bowie wrote a song about him and he later played Warhol in the film Basquiat. This alternative bar is hidden in a dark alley, but when you enter you will find yourself in a red lighted space with the famous works of Warhol incorporated in the furniture and displayed on large screens. The bins for example are disguised as Campbell’s soup tins. 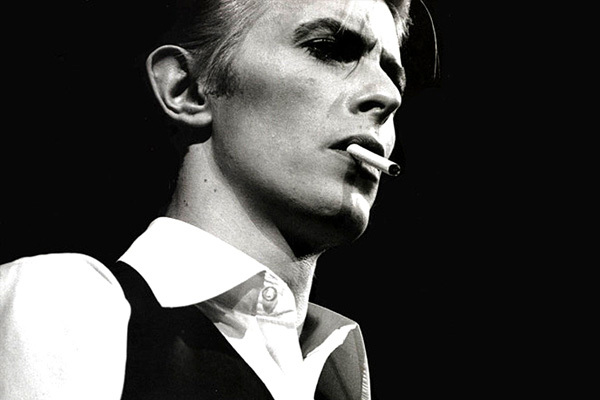 Try out one (or two) of the delicious cocktails and dance the night away on the dancefloor on Bowie music. Bowie’s performance of the song Starman at Top of the Pops in 1972 made many young girls jump into the air of excitement. There he was with his flaming red hairdo, pale skin and this time wearing a bright flowery suit. In the Oude Kijk in ‘t Jatstraat you’ll find the tea- and coffeehouse Bij Britta. This adorable place, which is filled with self-painted furniture, is run by the couple Anne and Barbara. Bij Britta is the place where all the Groninger Hipsters assemble to drink one of the dozens tea types, which you can pick yourself from the magnetic tea wall, the home-made cakes and lemonades. With a cup of tea in the hand they have a chat with Anne while they observe his blue bear. So this place is an overdose of loveliness, run by a blue bearded hippy. Bowies Starman would have felt perfectly at home. 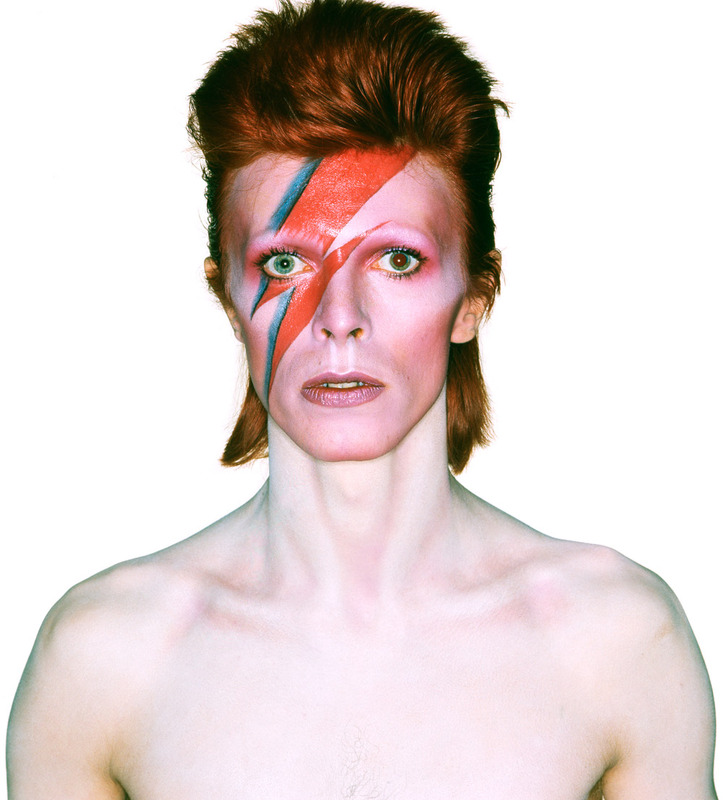 Bowie’s album cover of Aladdin Sane is spread throughout the city of Groningen, on which his face is decorated with a lightning bolt. In this album he developed into a rockstar with famous songs such as The Jean Genie and Let’s spend the night together. If you like this kind of music, you should visit Vera, a club for the International Pop Underground. Upstairs there’s the main stage on which icons such as U2, Nirvana and the White Stripes have performed. Rumour has it that backstage the sentence ‘Kurt Cobain puked here’ is written on the wall. Downstairs there’s the basement, which is so small that your nose almost touches the artist. From the redheaded, womanly dressed rebel, David Bowie developed into a soberly dressed, more reserved singer with interest for cabaret, jazz and soul music. He would have found his niche perfectly in Huis de Beurs, a cafe on the Vismarkt, from which you have the perfect position to watch other people. There’s a piano often played by a pianist. Bowie would probably have found this a nice place to write his songs with piano music in the background and the people who are passing by as inspiration. Another place which would have fitted the Thin White Duke, is the Grand Theatre on the Grote Markt. The theatre performances, which are held daily, are slightly more alternative and unknown in comparison to for example the Stadsschouwburg (City Theatre). When you walk by, you can probably imagine how Bowie would have sat there in the espressobar in his white blouse, while lighting a cigarette. After a heavy period in which Bowie had to go to rehab to get rid of his drug addiction, he moved to Berlin. Inspired by the raw German city and influenced by the rise of electronic music, he wrote Heroes, one of his biggest hits ever (also known as the Tunnel song). You can find this urban vibe of Berlin back in the Voormalige Suikerunie Terrein (Former Sugarunion Area). 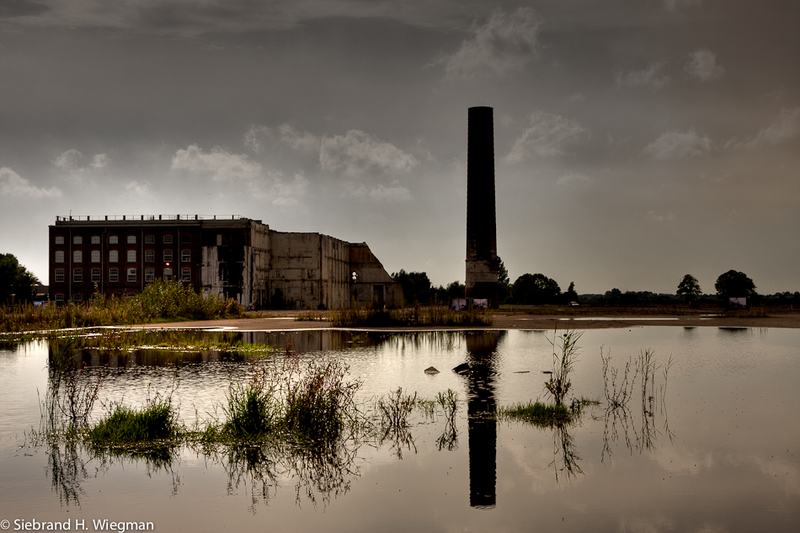 Throughout the year this old factory is used for the Noorderlicht photo exhibiton, techno-parties, an open air cinema and many other projects. Also, there’s a restaurant, de Wolkenfabriek (the Cloudsfactory) which is opened all year round. Soon you can spend the night on the Suikerunie Terrein in seacontainers on poles, with the best view you can imagine over the area. So when you’re walking out of the Groninger Museum, while whistling Let’s Dance, please don’t turn left to the station, but turn right to the centre! Because in Groningen, there’s much more to do for Bowie-fans. If you time your visit well, you can even attend one of the many David Bowie events.